Home > Minerals > How Much Recommended Calcium Intake Per Day? 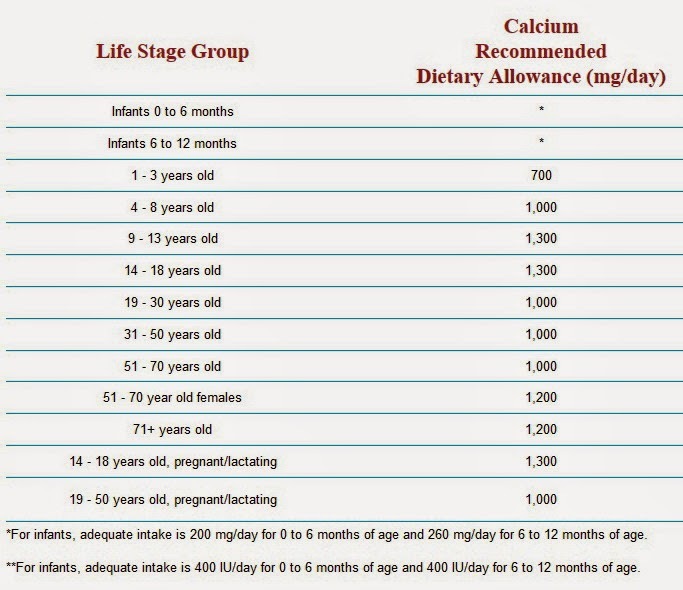 How Much Recommended Calcium Intake Per Day? Of all the nutrients we need, calcium is one of the most important. Calcium is not only important for the growth and maintain strong bones and teeth, but also very instrumental in the performance of the heart, muscles, and nerves in the body. So, how much calcium is needed daily? A study titled "Journal of Nutrition Education and Behavior" states that adolescents and adults often have a calcium deficiency due to lack of milk consumption. Often they are also not so concerned about the importance of calcium for the body. This study focuses not just about milk but rather to calcium itself. Calcium is the most abundant mineral found in the human body. Approximately 99% of calcium contained in the hard tissue that is in the bones and teeth. 1% calcium present in the blood and soft tissues. Without this 1% calcium, muscle contraction disorders, blood will be hard freezes, nerve transmission is interrupted, and so on. To meet the 1% requirement, the body takes from food eaten or from the bone. If the food eaten can not meet the requirements, then the body will take it from the bone. So the bone can be regarded as the body's calcium reserves. If this is the case for a long time, the bone will experience bone loss. 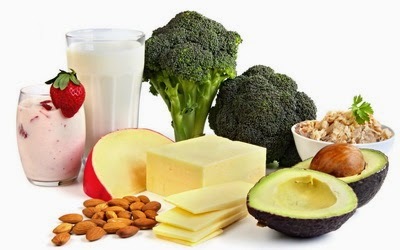 Calcium is a mineral that can be found in foods such as milk, cheese, tofu, tempeh, spinach, broccoli, beans, and sardines (read calcium rich foods post). This substance is essential for the growth and maintenance of teeth and bones. In addition, calcium is also required by the nerves, heart, and blood clotting system to function properly. Calcium supplements are used to treat and prevent calcium deficiency, as well as reducing phosphate levels. Sometimes the human body requires a higher calcium intake, especially in the growth in childhood, as well as in women who are pregnant or breastfeeding. Besides obtained from foods, calcium requirement can also be obtained from calcium supplements. Use of calcium supplements in accordance with the information on the packaging or recommended by your doctor if prescribed by a doctor. Make sure there is enough time distance between one dose with subsequent doses. For patients who forgot to take calcium supplements, are advised to drink so remember if the schedule is not too close to the next dose. Do not double the dose of calcium supplements on the next schedule to replace the missed dose. If consumed at the recommended dose, calcium supplements will not harm and very rarely cause side effects. But if this mineral supplements taken in high doses, it can cause the risk of diarrhea and abdominal pain. The more vitamin D obtained good body through food, sunlight, or supplement, the better the rate of absorption of calcium by the bones and blood flow in the body. When you feel that your diet menu and can not meet the body's calcium intake, you should take supplemental vitamin D before bed. Research suggests that caffeine, sodium and alcohol also can reduce the rate of absorption of calcium by the body. In fact, caffeine and excessive alcohol actually makes the kidneys to excrete calcium, rather than absorbing it. For women who are pregnant or breast-feeding, adjust the dose of calcium supplements recommended by your doctor. Ask doses of calcium supplements for children to the doctor. Please be careful if you suffer from kidney disorders, disease sarcoidosis, as well as for those who content of calcium in the blood and urine are very high. If an allergic reaction or overdose, see your doctor immediately.